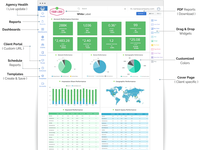 An Enterprise Ad Agency Reporting & Dashboards software, ReportGarden provides a full spectrum of marketing tools that seamlessly integrate with the workflow of an agency. An agency account manager/executive should be able to start right away on this, it's that intuitive! 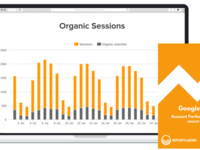 1000+ Top Agencies use ReportGarden to automate the most time consuming tasks like Client Reporting, Data Dashboards, SEO Keyword tracking, PPC Account Health Monitoring, Budgeting, Invoicing etc. Pros: Report Garden has solved a lot of reporting problems and time we have had in the past. 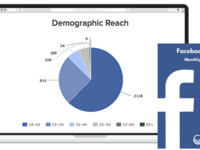 Generating reports for our Facebook campaigns are simple and one thing we loved is the ability to create your own template and white label the reports so when the client sees them, they do not know the software we are using. The most important or feature that we love the most is the schedule functionality, we can schedule weekly reports to our clients and client services teams with basic information on how the campaign is performing and this can then be made into an end of campaign report so when the campaign finishes, the client has data across all aspects of the Facebook ad. Cons: The only thing we dislike about the software is that the reports page can get very messy if you have weekly campaign reports being sent out, the previous weeks campaigns do not get deleted but they just continue to generate new reports in the report list. It can get messy but not a deal breaker. Overall: Our overall experience with ReportGarden has been phenominal. When we signed up, our representative organised a call where they went through all the details, how to create new templates, generate and schedule reports and even provided us with training documents to go through and familiarise ourselves with ReportGarden. ReportGarden has saved us countless hours in generating reports, a. that look great and b. include all key information in campaign performances. Cons: Just wish there were more visualizations for geographic (tighter windows rather than just countries) and also wish there were more options for overlay charts. Easy to find workarounds. The most difficult part of Report Garden is trying to set up a Google Sheet to sync with the system. I just wish it was more automatic in that way. Overall: AMAZING. I refer Report Garden to everyone, personal and professional, that I think would find it helpful and useful. It's helped our company grow immensely and put ourselves in the top tier of NYC Real Estate Marketing. Pros: ReportGarden is a relative newcomer to the digital marketing reporting scene. 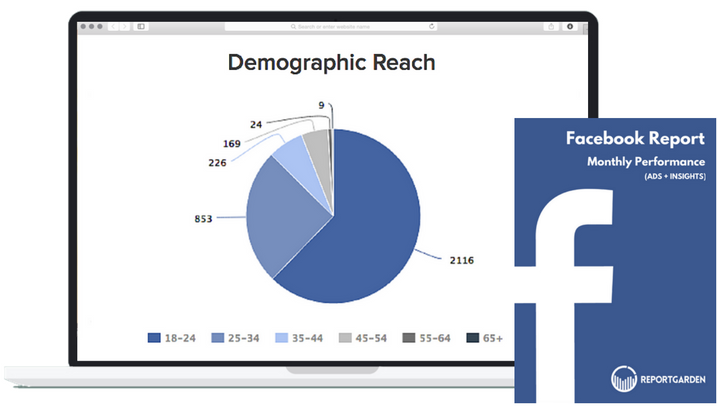 If offers the ability to report on metrics from Google Ads, Facebook and other propriety data. The widgets available for reports give the ability to make the output files as simple or as full featured as they need to be. The best part is the ability to report on data from Google Sheets and add custom calculation to automated reports. Cons: Configuring each report can be a slow, tedious process if every report needs to be different. If the report contains multiple widgets, and all of them likely will, you will have to customize each widget in most cases to achieve the data output you need. The platform can also be pretty slow when waiting for data to refresh. Overall: Report Garden allows the sending out of scheduled, cross-platform reports which saves time and make sure everyone stays informed. Pros: I have utilized Report Garden on and off for the past two years. It's an excellent platform for running digital marketing reports on social media, search optimization and PPC - all in one place. 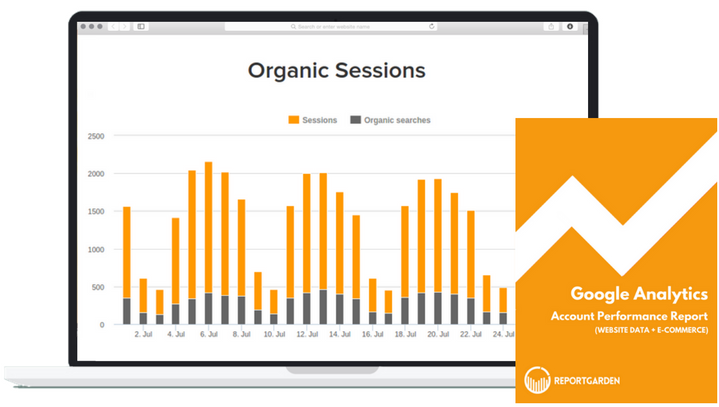 If you are a digital marketing generalist or consultant, and you don't want to invest in three separate reporting tools, Report Garden is the way to go. Cons: The only con with Report Garden is that like many services that attempt to provide a one-stop shop for a myriad of features, it's not as detailed/flexible as those SaaS providers who focus on doing one service and doing it really well (i.e. SEO reporting). Again if you are a consultant or a generalist, that may not be such an issue. However, if you are a specific type of agency - social media, SEO, etc. - you may not find everything you need under this one hood. Pros: Easy to build off of and the automation is crucial. Cons: We don't use a lot of the features but focus on the core ones. In some cases you are paying for more than you need but I believe they have custom packages to avoid that. Overall: Very happy with the product, and recommend regularly. Pros: ease of use. nice looking reports! Overall: Prior to using Report Garden's services for our agency, I was pulling data manually from Adwords and Google Analytics. I dreaded the nd of the month because reporting was such a hassle but now with Report Garden, I can pull reports within minutes to our team leads. Also, the amount of time I save on pulling reports allows me more time to focus on analysis instead of pulling numbers. 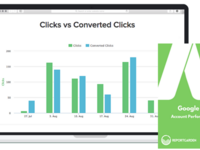 This is a great benefit to our clients since they see an increased ROI of their SEM campaigns. Also, RG's customer support is quick, knowledgeable and they always respond and follow up with any queries or problems we might have. No question is small! Great job, RG! Recommendations to other buyers: Ask the RG staff for a tutorial. It is the quickest way to learn and take advantage of all the features. Have fun creating reports, data nerds. Overall: The software will simplify your life. It connects with many existing platforms including Bing, Adwords, Facebook, Google Analytics, Phone Tracking systems etc. Very easy to use and inexpensive. Comments: Manual reporting is a big concern for my ad agency as it kills time for account optimization. My clients typically demand weekly reports and preparing these excel reports is very time consuming. Reportgarden helps a lot in creating customized client reports. 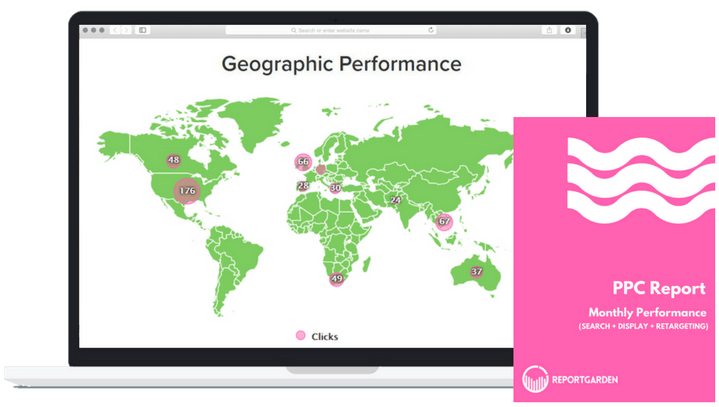 Once you save a template, you can generate unlimited reports at will. Now I discuss with my clients and fix a reporting template based on their requirements and expectations. I simply create these templates in Reportgarden and schedule reports, which are then automatically generated and sent to all my clients. This saves me at least 30-40 hours/month on reporting. All I do is add custom recommendations and insights to improve the report. Reportgarden saved me a lot of time, increased my productivity and made my clients happy. I highly recommend this for all ad agencies! 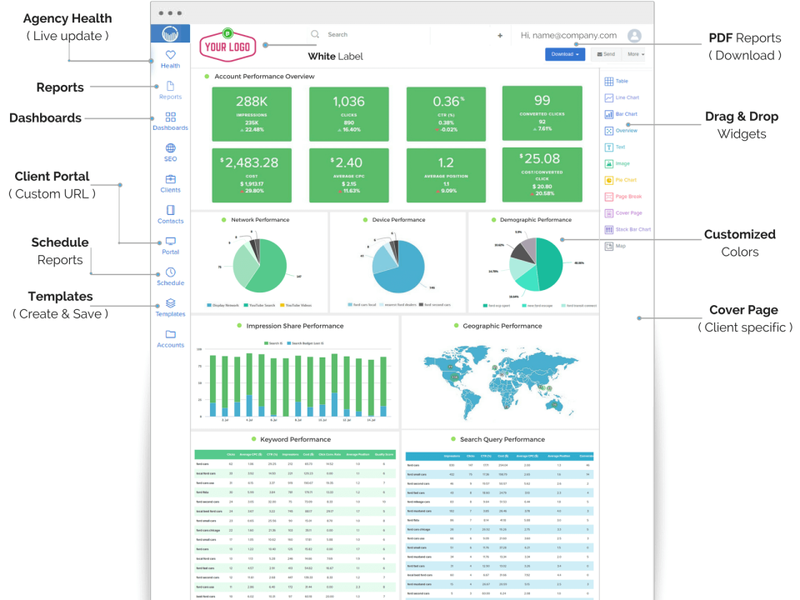 Overall: Was looking for a reporting software that allowed for our agency to link multiple client accounts to one singular software that would, and could, pull data from different sources. Report Garden did the trick pretty good. We're able to organize and run different reports that can show the client their marketing efforts are working in a multitude of ways. Pros: Easy to use, efficient help with all the tasks of reporting by campaign and save the historical information of events already done. Pros: The best thing about ReportGarden is that it automatically pulls in numbers for you, meaning that you don't have to spend time each month worrying about pulling numbers from Analytics, Unbounce, AdWords, Bing, Facebook, etc. You can just update the document automatically! That feature saves me a lot of time. Cons: It was hard to figure out at first, and sometimes I'm frustrated at the template options. Saves a ton of time and provides quality reports! Pros: Report Garden is a great platform that removes a lot of the pain associated with creating client reports. This was previously a HUGE time investment for my team (creating reports for over 100 clients each month). With Report Garden, we were able to streamline that process a bit, and save time and money. Cons: To be expected, but Report Garden does not provide very detailed data that I prefer to include in my reports. In most cases, this isn't an issue for our clients, but I still would like to have the ability to feature more granular data. Little clunky, but way better than Excel and PDF! Comments: I often ran into module issues where data was not processed showing inaccurate reports. Also, it often colored certain stats, like bounce rate, incorrectly. I mean, a decreasing BR is positive, so why color it red. Things are easily fixed same-day with a CS support ticket and for that, I think Report Garden is awesome. Good customer support is deliverable in and of itself, and they outperform! Comments: I own a media Agency in Argentina and I've been looking for a report tool for a long time. I found Report Garden and I'm using it to send reports to all my clients at once, it's amazing! The Customer Service is great, they help me and my team with all my questions. 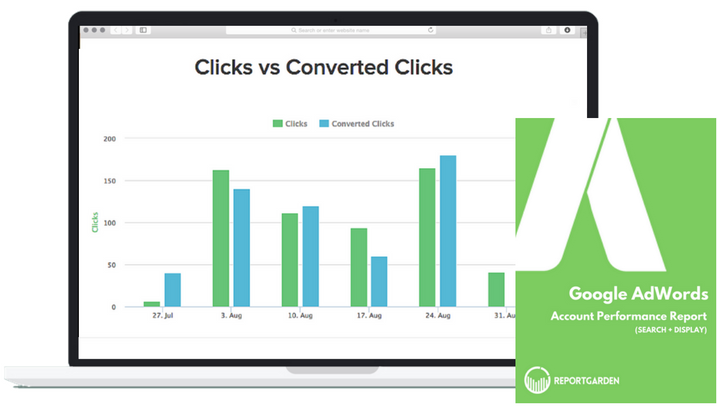 It's very very easy to use, specially for adwords reports, analytics and facebook ads reports. Thank you for the wonderful review Felipe! Comments: I am using Report Garden for 6 weeks, and I am globally satisfied. I use it to report on Advertising Campaigns, and Analytics, and after the setup, it saving me lots of hours every month. Overall: I've purchased this tool in order to manage several reports in different countries and for different campaigns. This is a dream-tool for web marketing manager: fully customizable, easy to use, affordable and with an awesome quick customer service. Pros: Easy to use. Can build custom report templates and pull in data across various client accounts. Overall: Very happy, support is very helpful and always patient. Quick and easy way to pull reporting. Nice Looking Reports, Some Serious Bugs Though Beware. Comments: We've been using Report Garden for the past 3 months for our PPC Reports pulling in Data from Adwords, Google Analytics, Search Console, and Google Drive. Only once we started using the tool to bring in custom data did we discover the full extent of bugs. Functionality in parts just doesn't work. Silly little issues like data freshness, formatting, sorting. Just doesn't work. As a customer I have wasted so much time dealing with problems associated with silly bugs that I feel like Report Garden should be paying us to bug test. The tool in my eyes contains too many basic bugs to be on the market. Comments: We have been using reportgarden for several months now for the monthly reports we send our customers. Reportgarden has nice features to present the data. But it takes ages to load the report or to even to load a single site. This makes it very frustrating to work with the tool. We were promised to spend time with it - now it takes us more time than ever before to get the reports done. Customer support is fast and friendly but doesn't solve the problem. Pros: Nice features but if the reports load as slow as they do we spend to much time (=money) on waiting for them to load. Recommendations to other buyers: I don't recommend Reportgarden to anybody. Comments: It's easy to use and gives perfect reports for your clients. The support of Report Garden is amazing. A question is being answered in a couple of hours. I will recommend it. Try it! Pros: Great for agency reporting. Allows integrations from many different sources, so it's easy to show a client how their marketing and individual channels are performing. Cons: Support and the software itself has gone downhill. It used to be quick, helpful responses. That changed. Software has a lot of glitches and bugs. Overall: This reporting system is simply easy to adjust to and the simplicity of the functions make it easy to understand! Recommendations to other buyers: Easy and simple to navigate! Pros: This data has helped us to make better decisions on the different ads. The filtering capabilities are great and it's really easy to generate a report quickly. Cons: It would be nice to have some additional templates for us to use. It also takes a bit of training for people to understand what the reports mean. Pros: I like how it puts the charts and data in the marketing reports I write. Makes things clear and easy to understand. Cons: Lacks some basic functions such as ROAS etc. For some reason it has a hard time calculating these correctly. Overall: This is all I've known, but I've really enjoyed it.